Happy Wednesday! I hope you're having a great week! I know I've mentioned this podcast over and over here on the blog and on Instagram but it's worth mentioning again. I absolutely love Christy Nockel's podcast called The Glorious in the Mundane. Every single episode has literally spoken straight to me heart! I love turning it on in the car or even while I'm folding the laundry. Taking care of myself emotionally and spiritually is honestly the most important type of self care for me. What you pour out is reflective of what you pour in. 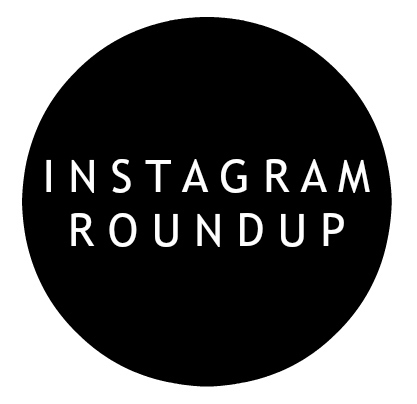 Today, I'm sharing my weekly Instagram Roundup and two of the photos include flowers. Spring is my favorite and flowers just make me smile. I'm always the crazy person taking pictures of all of the flowers I find, haha. 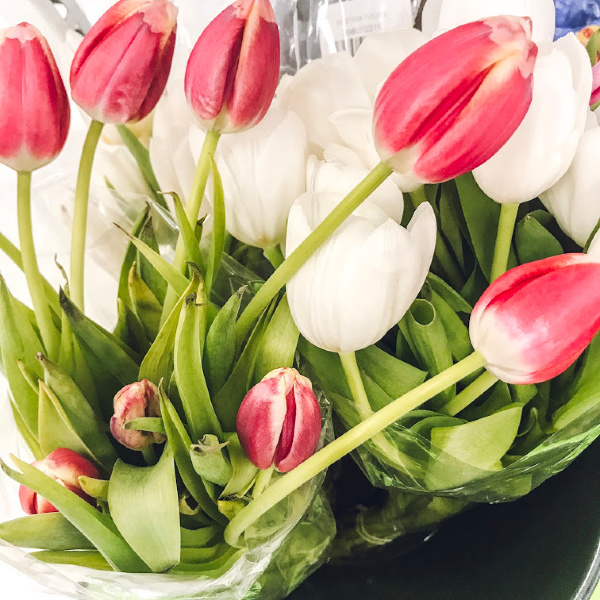 What's your favorite type of flower?! It's a tie between roses, tulips, peonies, and gerbera daisies (my wedding flower) for me! 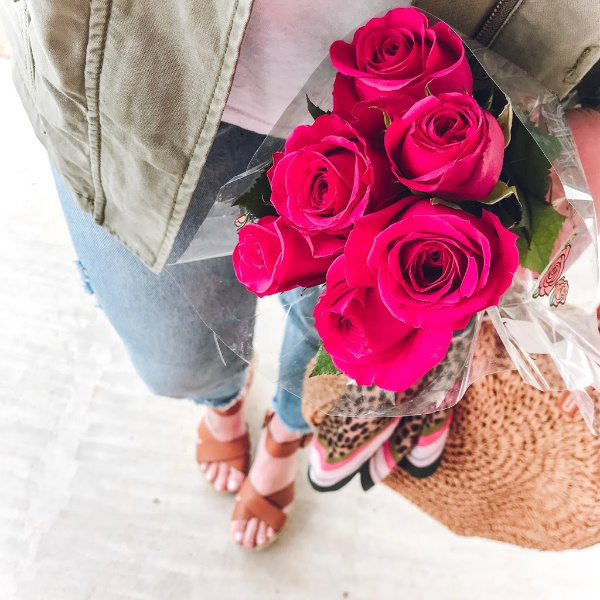 These gorgeous blooms are from Aldi! They have the best four dollar bouquets. I absolutely love fresh flowers but I don't like spending a ton of money on cut flowers. I try to pick up one of these bouquets each week on my grocery run. These lasted a full week! This outfit gives me all of the casual princess vibes. I love mixing dressier pieces with a white tee (this one is my very favorite) and a denim jacket. I wore this outfit on Sunday and I'll be sharing more about it here on the blog tomorrow! 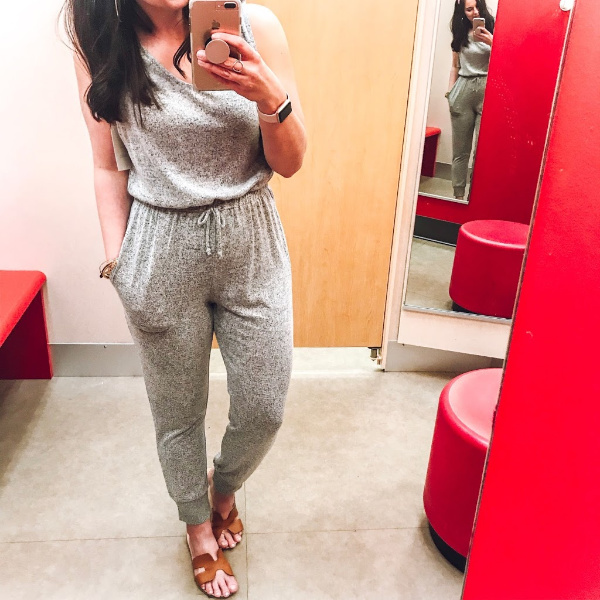 This is the jumpsuit from yesterday's blog post and it's such a comfy pieces. 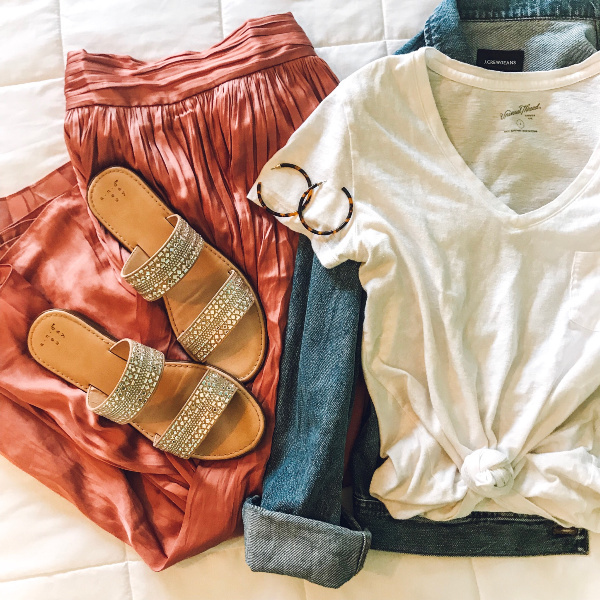 Perfect for lounging at home or take it out in public like I did with a denim jacket! It runs big so definitely size down one size. I'm wear an extra small in this. Post dance competition hair and makeup! 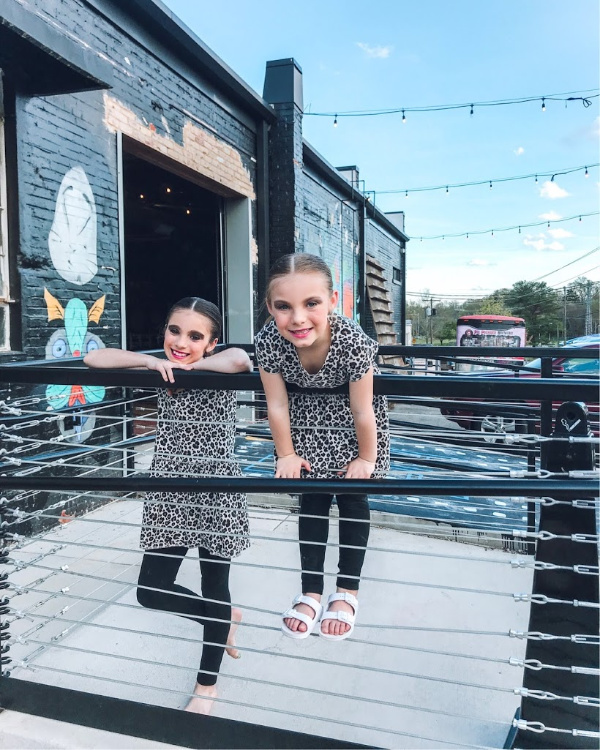 The girls finished up their dance competition season this weekend and they did so good this year. Also, how cute are these super affordable leopard dresses?! 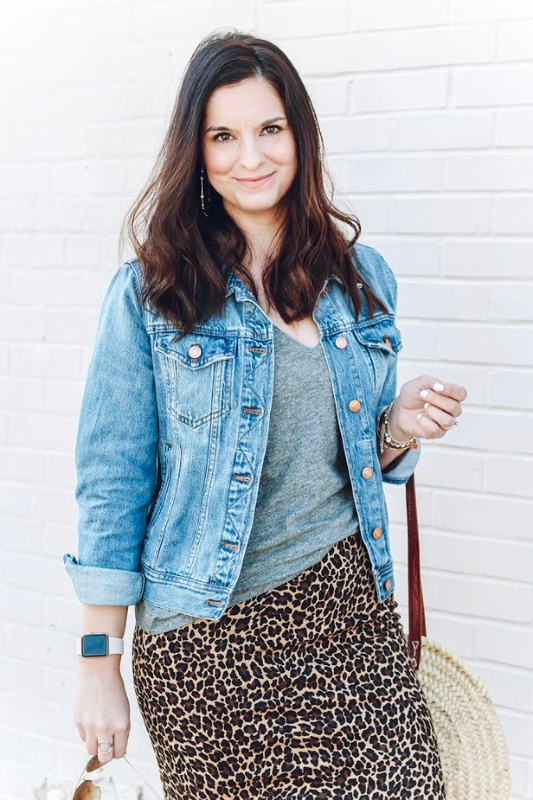 This look was from Monday's post and it's definitely my go-to spring outfit! Don't know what to wear? 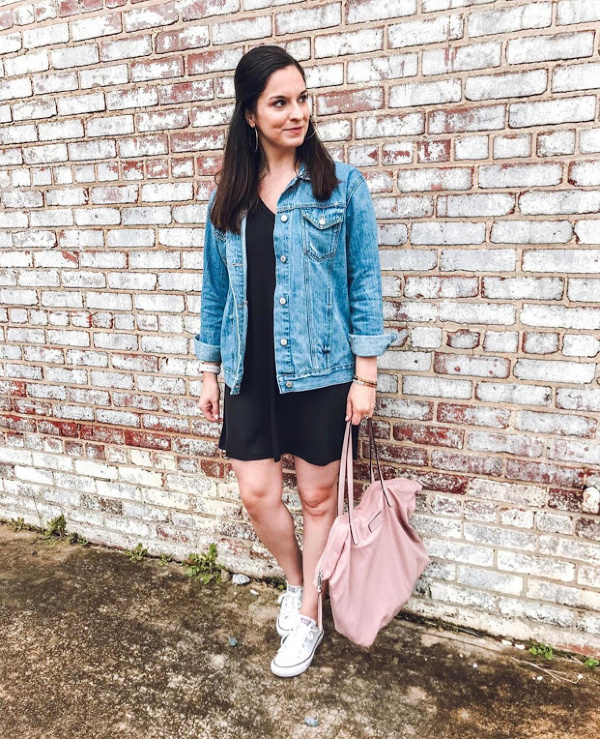 Little black dress and a denim jacket to the rescue. This combo never fails!